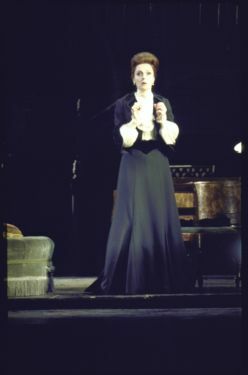 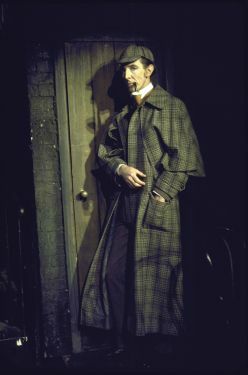 Sherlock Holmes is an American 4-act play, written by William Gillette and Arthur Conan Doyle, directed by Frank Dunlop, performed by the Royal Shakespeare Company first at the Eisenhower Theater (Washington, D.C., USA) from to 7 october to 2 november 1974 (32 performances), and at the Broadhurst Theatre (New York, NY, USA) from 12 november 1974 to 21 april 1975 (219 performances), starring John Wood as Sherlock Holmes and Tim Pigott-Smith (< 4 feb) and Dennis Cooney (> 4 feb) as Dr. Watson. 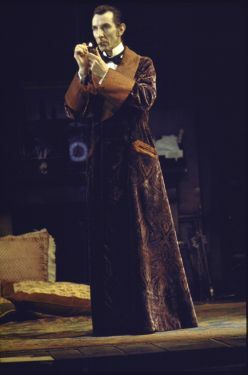 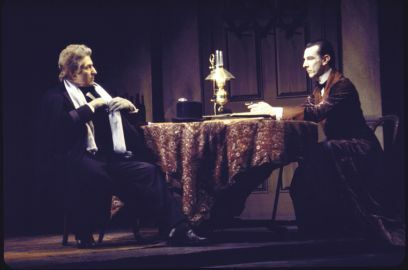 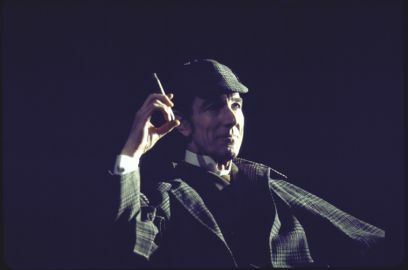 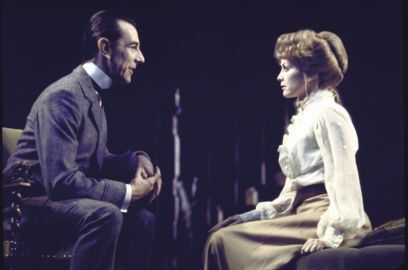 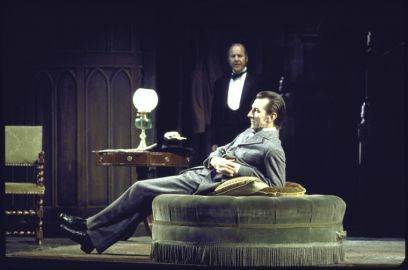 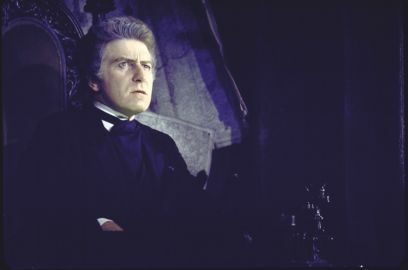 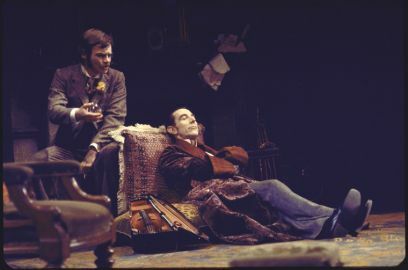 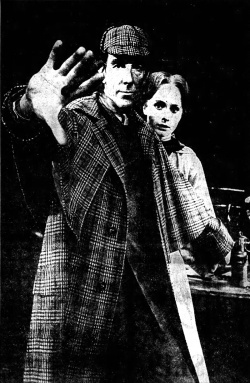 Still in Broadhurst Theatre, John Wood was replaced as Sherlock Holmes by Patrick Horgan from 22 april 1975 (see play), then Horgan was replaced by John Neville from 13 may 1975 (see play), then Neville was replaced by Robert Stephens from 19 august 1975 (see play). 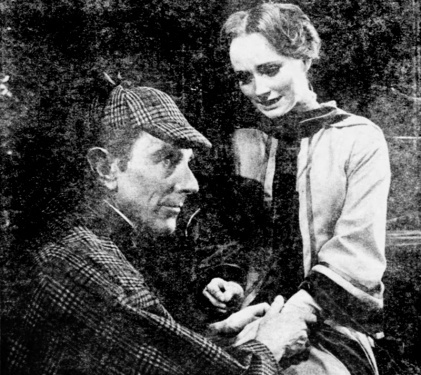 The play is an adaptation of the William Gillette's Sherlock Holmes (1899). 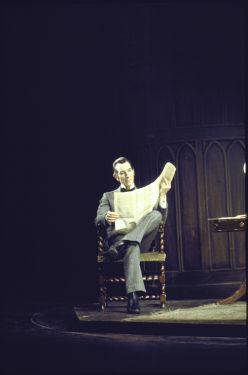 © Photos : Martha Swope. 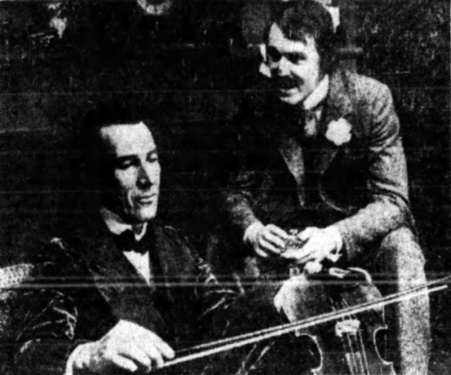 This page was last edited on 28 February 2019, at 18:48.